Spain is one of the countries where sales have increased the most through the internet. Our country is the 4th European country where e-commerce has increased the most. Therefore, it is only fair to conclude that in a period of approx. 10 years, most of the vans and cars of companies that circulate through the cities and perform distribution tasks will be electrical. Thus, we can conclude that increase in e-commerce drives the sale of electric vehicles. Now is the right time to incorporate electric models into the fleets of corporate vehicles. 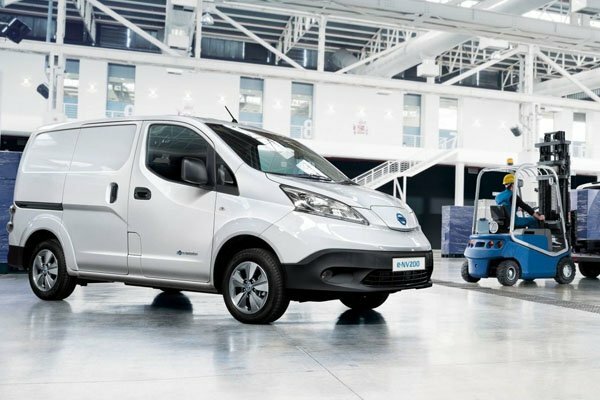 Nissan, one of the brands of cars that sell a great number of electric vehicles, proposes a new model of electric van for companies. The trend is clear, companies are betting on electric vans and cars to solve pollution problems and avoid traffic restrictions due to pollution. This Nissan electric van is the best-selling electric LCV in Spain and Europe.Nissan manufactures the car in Barecelona for the whole world. The battery of this electric vehicle has been updated from 20kWh to 40kWh. This is the same same battery that incorporates the new Nissan Leaf. The new vans Nissan presented serve to both, transportation of goods and people. Nissan proposes the Evalia version, the only approved electric taxi for the transport of people with reduced mobility. Evalia has a Taxi version and another Eurotaxi version. The electric van e-NV200 has intelligent power, with its new 40kWh battery. It can travel 200 km in combined cycle and 300 km of range for city rides. It has a 40kWh portable battery. This new Nissan allows you to enjoy a simpler and more efficient driving thanks to the possibility of quick recharging. The new model can get charged in just 40 minutes. It’s equipped with new navigation system and a series of new online services – NissanConnect EV. Now, that the companies incorporate to their fleets of vehicles electric cars and electric vans supposes that they are going to need charging points for these commercial vehicles. In order for a company to install charging points it is convenient to carry out a study of the needs. The needs that companies usually have in terms of recharging points are several. We normally contemplate three scenarios. For the company fleets, a study is usually carried out for the implementation of charging points. The installation companies offer service for the analysis of needs, purchase and installation of charging points. The companies that install the recharging points offer supply points for charging and renting charging points. Normally the recharge point installers also offer charging point solutions for employees. They also include the option of payment through the mobile phone. There are many companies that allow their customers to charge their electric cars. This service is excellent if you want to build loyalty to electric vehicle users. These are the different options for installing charging points in companies.